Greetings, baseball fans! Congratulations on making it to the season’s midway point. Can you believe that 80-plus games are already in the rearview mirror? It feels like just yesterday that we were embarrassing ourselves by predicting that the Red Sox and Marlins would play for the World Series while the Royals and Angels would flop. Instead of facing further public mortification by updating those predictions, we’re focusing on a risk-free metric: intrigue. Specifically, the second-half story lines that intrigue our baseball enthusiasts the most. Enjoy. Rany Jazayerli: Two years ago, the Astros lost 111 games, a total that just one team has exceeded in the past 50 years. This season, Houston entered the July 4th weekend with the best record and largest divisional lead in the American League. And the Astros aren’t a fluke. They have the best pitcher in the league so far this year in Dallas Keuchel. They have the closest thing we’ve seen to a young Alex Rodriguez since Alex Rodriguez in Carlos Correa. They have a rebuilt bullpen that’s one of the best in baseball, with a 0.986 WHIP that’s the lowest of any team’s pen in the season’s first half during the live ball era. They’re good. And if they can hold on to win the division, they will complete the most stunning rebuilding project ever attempted. No team will have ever gone from being as bad as the 2013 Astros were to as good as the 2015 Astros are in such a short amount of time. That the most stunning rebuilding project ever was also the most extreme rebuilding project ever should not be lost upon the rest of baseball. It may seem like the burn-your-house-down approach is obvious for bad teams today, but many in baseball were pillorying the Astros for their tactics as recently as a year ago. Yet baseball teams do nothing as well as try to imitate success, so if the Astros hang on to win the AL West, expect a lot more teams to grab a match. Better to lose with a purpose like the Astros did than to lose obliviously like the Phillies are. We’re in an era of unusual parity right now, particularly in the AL, where no team has a winning percentage south of .440. Now that the Astros have shown the way, though, expect a return to 100-loss teams in the near future — not because certain teams can’t win, but because, like the Astros before them, they’ll choose not to win today in order to husband their resources for the future. “Don’t have to. 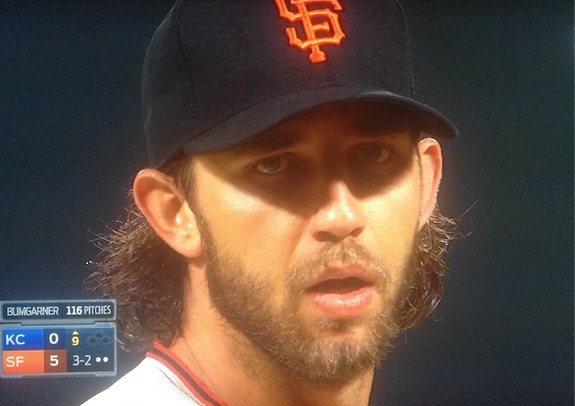 He had a 0.8 HR/9 IP last year in 200 innings — what, you think that’s going to suddenly double?! Just give him $80 million, it’ll be fine. Also, we got Joe Kelly with Allen Craig in the John Lackey deal, and Kelly throws like 99 mph, so that’s a guaranteed success right there. Plus, we can get Justin Masterson on a short deal — granted, he throws like 84 mph these days, but we’ll give him $10 million and see what happens. Then we get Wade Miley from the D-backs, and sell Will Middlebrooks at his absolute low point to the Padres. We’ll do a bunch of other stuff — don’t worry about it. It will all be fine. We’ll go into the year with like seven outfielders — only five of whom would be playing out of position when they play, so that’s good — an entirely new pitching staff, a 40-year-old closer, a pudgy third baseman who swings at everything, and an oft-injured malcontent in left field, and as long as Craig has been pulling a funny prank for two years by pretending to forget how to play baseball, and as long as Mike Napoli and David Ortiz magically defy the relentless forces of time’s inevitable decay and remain youthful for eternity, the middle of the lineup should be great. Ben Lindbergh: Michael was too polite to dwell on the best/most embarrassing Red Sox–related second-half story line, which is clearly Hanley Ramirez’s quest to become the best-qualified hitter ever to be a replacement-level player. Right now, Brad Hawpe holds the record for his 2008 Rockies season, in which he posted a 122 wRC+ (.279/.376/.518 in Coors) with a minus-0.7 WAR, thanks to a [wipes off spectacles] minus-36 UZR in right field. Hanley has a 124 wRC+ with a minus-0.5 WAR, both because of bad baserunning and because his glove has rated 15 runs worse than the average of a group of players at his position that includes Michael Cuddyer. 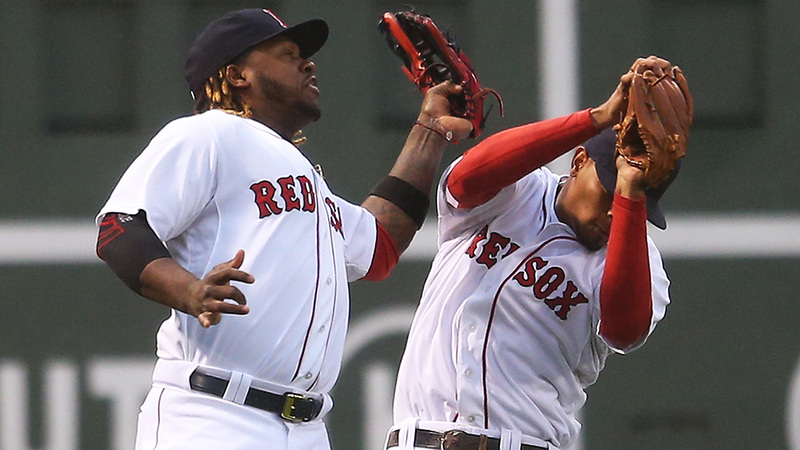 It won’t happen — Hanley will hit too well, or he’ll figure out that left field in Fenway is so small that even Manny could competently play the position — but it’s something for fatalistic, self-loathing Red Sox fans to root for. The rest of us can watch the Washington Nationals, a first-place team that still seems like the sport’s sleeping giant. In March, my colleague Rany Jazayerli feted the Nationals for “trying to give us all a spectacle that we haven’t seen in far too long: a team that dominates from Game 1 to Game 162.” We’ve seen that intention take shape over short stretches — 11 of 13 from April 28 through May 11, eight in a row from June 19 to 28 — but every team (even the Brewers) has hot streaks. The Nats were built to be the one team that never went cold. Instead, they’ve had the sniffles all season, despite featuring baseball’s best pitcher and best position player. Because the NL East is easy pickings, the Nationals were never in serious danger of missing their appointment with first place and the playoffs. It’s only their expected dominance that’s endangered. The Nats are nine games over .500, and their underlying stats say they’ve been somewhere between baseball’s seventh– and ninth-best team, which isn’t a record worth rosterbating about. Although Stephen Strasburg and Doug Fister have disappointed — the latest reminder that all-aces rotations usually spring some leaks — the position players have been a bigger problem. The Nats rank seventh in DL days, according to the Elias Sports Bureau, and that counter is still climbing courtesy of a few hitters who’ve been among the backbones of recent Nationals lineups: Anthony Rendon, Jayson Werth, and Ryan Zimmerman. With a division victory a virtual certainty, the Nats can use the rest of the summer to get those hitters healthy or acquire other hitters who haven’t been hurt, all while replacing the light-hitting Ian Desmond look-alike with the real deal. With Bryce Harper hitting out of his mind, Max Scherzer at the peak of his powers, and Fister, Jordan Zimmermann, and Denard Span about to stick their feet into free agency, this might be the best chance this group gets to undo the disappointments of the underachieving 2013 team and the 2012 and 2014 NLDS exits. The Nats are a longer shot to win 100 than they seemed to be this spring, but there’s plenty of time for them to field the true talent of a 100-win team by the time the leaves start to turn and the chyrons start to display misleading stats about shutdown innings. Bill Barnwell: 2015 has not been kind to the Oakland A’s. Their biggest offseason acquisitions, Billy Butler and Ben Zobrist, have been ineffective and injured, respectively, while the traded-away Josh Donaldson has played at an MVP level in Toronto. Starter Jarrod Parker is out for the season again. Closer Sean Doolittle has pitched once. It hasn’t been great. Worst of all: Billy Beane actually built a competitive team, but one that’s had an absolutely brutal run of luck. By BaseRuns, the A’s have played .596 baseball, good for a 51-34 record that would make them the second-best team in baseball. In reality, though, the A’s are a wildly frustrating 38-47 (.447), leaving them a whopping 13 games behind their expected record. No other team in baseball is more than five games below its BaseRuns-expected record. Oakland is 6-21 in one-run games; that .222 winning percentage would be the worst figure over a full season in 80 years. The A’s will have more luck in one-run games. And they’ll play more like the .596 team than the .447 team over the rest of the season. If anybody in baseball has faith in trusting that longer view of performance, it’s Beane. The problem, of course, is that they may be buried too far in the standings to catch up. There are 10 teams between the A’s and a spot in the wild-card game. And after going all in to trade for Jeff Samardzija and Jon Lester in 2014, Beane may feel it more prudent to transition into being one of the league’s precious few sellers this deadline if he can extract a premium for the likes of Zobrist, Scott Kazmir, or Tyler Clippard. Beane has a history of being decisive earlier in the summer than most of his cohorts. He traded Rich Harden to the Cubs just before the All-Star break in 2008 for a package of prospects, including Donaldson. The deal for Samardzija and Jason Hammel came on July 5 last year. If Beane wants to be that aggressive in 2015, he’ll have to all but give up on the team he has put together for 2015 without knowing whether it can ride a second-half surge into the postseason. And if he doesn’t want to give up this quickly, how long can Beane wait for his team to catch a break? Michael Baumann: If it proves to be even remotely real, what the Mets have done with pitching prospects over the past few years has to stand out as one of the most impressive player development feats in recent memory. Jacob deGrom, Matt Harvey, Noah Syndergaard, and Steven Matz are all pre-arbitration starters whose stuff and performance merit the front-end starter mantle, though the latter two still have something to prove. Producing four young pitchers of this quality at the same time would be impressive enough if (1) any of them other than Syndergaard was supposed to be this good, and (2) the Mets didn’t have two other quality major league starters in the rotation. By season’s end we could look at this rotation as the best in baseball, and when a team has a front four that good, that young, and that outrageously underpaid, the hard part of constructing a contender is done. Or it would be if the Mets weren’t as bad at everything else as they are good at producing starting pitching. Their offense — and I can think of no more damning criticism in 2015 — is Phillies-like, both quantitatively and qualitatively. Ordinarily, a big-market team would be able to throw money at this problem by acquiring veteran hitters (and it wouldn’t take much of a hitter to upgrade what the Mets have) or by signing one or more of its young pitchers to a contract extension, thereby earning more time to fix the offense internally. But the Mets aren’t an ordinary big-market team, because their owners, the Wilpon family, were swindled into relative pauperism by Bernie Madoff, and have committed other sins that are worse morally but less impactful on the field. In order to attract top talent to New York — or anywhere, really — a team needs not only money but goodwill, or at least the impression that the franchise is run competently. (The Knicks striking out in free agency last week is proof of that.) The Mets, unfortunately, have neither of those things, and GM Sandy Alderson might have already made his fatal mistake by signing Michael Cuddyer instead of a quality veteran hitter last offseason. The Mets have done the hardest part of building a World Series contender. The juxtaposition of that and what’s left undone makes them fascinating. 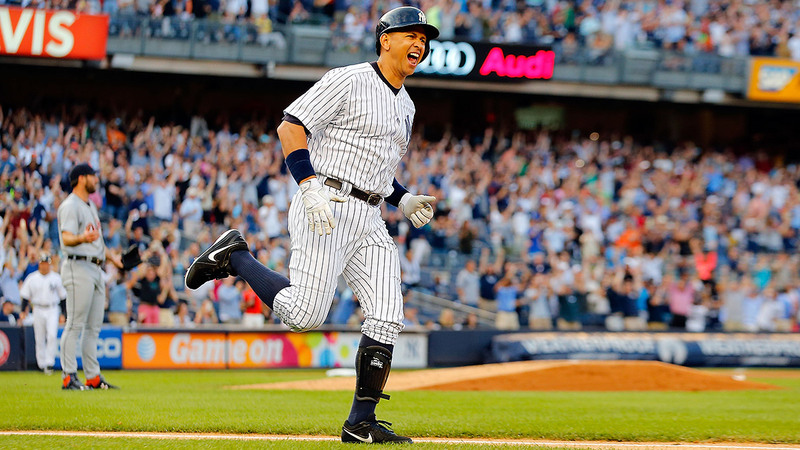 Is there anything suspicious about the fact that reformed performance-enhancer enthusiast Alex Rodriguez’s return to the ballclub has coincided with those surprising bounce-back seasons? Of course there isn’t, and aren’t you ashamed of even bringing it up when the man has already served an unprecedented and draconian punishment handed down by a power-mad commissioner desperately attempting to scrub the sport of his legacy of PED neglect? Or is a humbled A-Rod secretly the best “clubhouse guy” and “veteran leader” in Major League Baseball, capable of inspiring a flawed team to perhaps his final late-career playoff run, culminating in the indelible image of Rodriguez kissing not himself in that infamous mirror’s reflection, but the World Series trophy (to which he has somehow added his own RealDoll-quality, smirking mannequin face)? Will CC Sabathia, robbed of the stuff that made him one of the best pitchers of his generation, realize that he hasn’t retired a right-handed batter since late 2012 and selflessly demote himself to bullpen duty, making him the highest-paid LOOGY of all time? Will the Yankees then keep yo-yoed swingman Adam Warren out of the rotation anyway, because “we just like how he looks when that guy’s warming up in the middle of an inning, he really knows how to get loose out there”? When the hissing fuse that is Masahiro Tanaka’s frayed ligament burns down to its end and detonates the righty’s time-bomb elbow sometime in early August, will the bone shrapnel take out the .178-hitting, Steinbrenner-family-blackmail-possessing Stephen Drew as he rushes to his teammate’s aid, please? Can Garrett Jones really be this impossibly handsome in a bench role? Has anyone checked on Rob Refsnyder lately, because the last time anyone saw him he said he was going to catch a quick nap in the luggage compartment of the Scranton team bus, and that was mid-April? Jacoby Ellsbury’s going to come back this week and be as good as new atop the lineup, because knees aren’t that important to his game, right? Aaron Judge, Luis Severino, Greg Bird, Eric Jagielo, and Jorge Mateo for three months of Ben Zobrist and a one-game wild-card playoff berth with Sabathia on the mound against the resurgent Red Sox, who says no? Is it safe to take all three bottles of this off-brand Canadian Xanax without a doctor’s supervision, and will they help dissipate this recurring, haunting mental image of Pablo Sandoval sitting on a Fenway Park toilet, hearting an Instagram photo of Mookie Betts scrambling home on a wild pitch to secure a walk-off win in the bottom of the 14th? Of course it is, and aren’t you ashamed of even bringing it up when those pills are the only thing that will get us through this second half alive? Ryan O’Hanlon: I’m better at baseball than Alexei Ramirez. No, I haven’t picked up a bat since I saw an actual curveball for the first time during the opening round of the Suffolk County playoffs in third grade, but yes, my point still stands: By not playing a single game, I’ve been a more effective major league player than a 33-year-old who was an All-Star, a Gold Glove finalist, and a Silver Slugger winner just a year ago. Through his first 79 games, Ramirez has the lowest WAR (minus-0.9) in the major leagues, barely edging out The Beard Formerly Known As Matt Kemp for the dishonor. With a league second-worst wRC+ of 46 — 100 is average; Bryce Harper is leading the majors with a mark of 220 — Ramirez is essentially stepping up to the plate with a Twizzler in his hands instead of a bat. His baserunning has been nearly as bad as Kendry Morales’s, who weighs 225 pounds and once broke his leg celebrating a home run. And to top it all off, Ramirez’s declining defense at shortstop has become one human-size shrug emoji. Despite what a handful of luminaries suggested a few months ago, the White Sox’s season is already effectively over, and with a $10 million team option for 2016, Ramirez’s time on the South Side could soon be coming to an end, too. It’s doubtful that he’ll continue to be this poor — but if he is, the Sox’s masochism can go only so far … right? FanGraphs projects Colorado’s Rafael Ynoa to take over as the worst player in the league by the end of the season, but still has Ramirez on track for a full-season WAR of minus-0.3. That’s better than his current mark, but it still won’t be as good as mine. 6. Gerrit Cole’s mop: Like other elite-locked pitchers on this list, Cole has combined All-Star pitching with some seriously voluminous flow. 5. 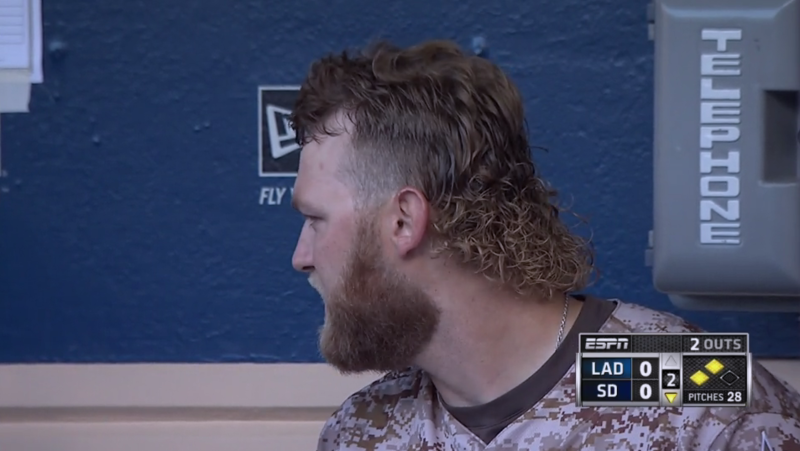 Andrew Cashner’s curly mullet: Yes, he’s been rocking it since last year. It’s still glorious. 4. 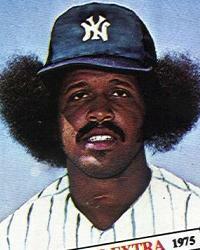 Chris Archer’s ’fro: One of the best and most quotable pitchers in the league is also having his Oscar Gamble Jr. moment. 3. Jacob deGrom’s near-shoulder-length tousle: DeGrom has quietly become the Mets’ top pitcher, and he’s delivering ace-level locks as well. I wish I could have pulled off this look when I tried growing out my hair in my youth. 2. Zack Greinke’s straight-hair/cherubic look: Greinke is the star of Molly Knight’s excellent new Dodgers book, The Best Team Money Can Buy. One of the quirkiest personalities and most beloved teammates in the game, Greinke seems like the kind of guy who might grow out his hair because he read somewhere that it was the cool thing to do. And we love him for it. 1. Johnny Cueto’s dreads: The Reds ace somehow finds time to dominate opposing hitters and care for his spectacular hair, an MVP-caliber feat. The Reds should probably just pay him the $200 million he wants, balky elbow be damned. Dave Schilling: In Molly Knight’s The Best Team Money Can Buy, the Los Angeles Dodgers come off like a Bentley with the motor taken out. A brash new ownership group makes money rain from the heavens with the expectation that championships will automatically follow. Unfortunately for Dodgers fans and the players they pay to see,3 that particular formula hasn’t worked in baseball for years — especially when a team harbors legitimate contempt for one of its superstars. Championships are won by teams, like the Giants and Cardinals, that spend money wisely and value that elusive intangible called chemistry. If The Best Team Money Can Buy is to be believed, the Dodgers lack that special something. The book tells stories about Yasiel Puig bringing his entourage on team flights, coming late to games, and generally showing a lack of motivation that reportedly turned his teammates against him. Truly great teams can overcome behavioral issues and personnel divides — keep in mind that the Yankees actually won a World Series with Alex Rodriguez — if the rest of the roster isn’t falling apart. Unfortunately, that’s not the case in L.A. With the pitching staff whittled down to a slumping Clayton Kershaw, Greinke, and a box of mismatched old shoes, and with Puig sitting on three home runs, a pensive, nervy feeling is permeating Chavez Ravine. The Dodgers remain five games ahead of the Giants for first place in the NL West, yet there’s a sense that a crash is looming, that it’s not possible for a rotation this depleted to survive into October. 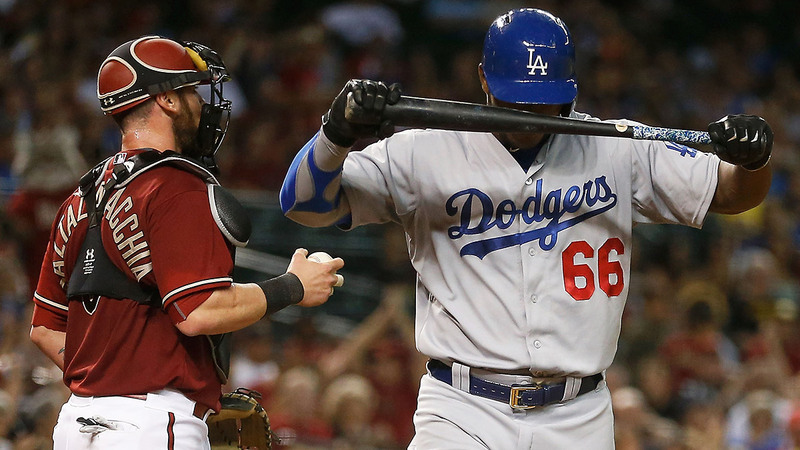 Joc Pederson has cooled off, Adrian Gonzalez has traded his bat for a matador’s cape, and Jimmy Rollins is inexplicably still allowed to play baseball. Trying to predict where the Dodgers will end up in the fall almost seems pointless. This is an apocalyptic season in L.A. Dogs and cats are living together. We’ll either watch the Bentley ride off into the sunset or see it get pushed into the trash compactor from Star Wars. Someone should write a book about this season, too. Mallory Rubin: Manny Machado turned 23 on Monday, and because he’s a kind and caring soul, he celebrated by giving gifts to all of us: the 18th homer of his 2015 season and the second All-Star berth of his young career. Those small tokens of affection have become increasingly common in recent weeks, as Machado has regained the form that had people mentioning him two years ago alongside Mike Trout and Bryce Harper as one of the game’s brightest young stars. On top of those 18 boppers, Machado has 13 steals, 53 runs, and his now customary gaggle of web gems. But he also has something else: maturity. It’s hard to imagine the Machado taking the field today throwing the kind of mind-boggling tantrums that earned him ignominy and punishment last season. He’s focused, overcoming an unfortunate early-season error barrage to regain his easy grace at the hot corner; he’s confident, seemingly running and swinging without fear of injury after undergoing season-ending knee surgeries in consecutive seasons; he’s even married! And if he keeps this up, he’s also on his way to earning some MVP votes. According to Baseball-Reference, Machado is currently third in WAR among AL position players (behind Trout and Jason Kipnis) and first in the AL in Power-Speed Number. He can appeal to the Trout contingent that seeks to reward the most well-rounded and productive player in the game, and to the Cabrera contingent that seeks to reward value to the team. 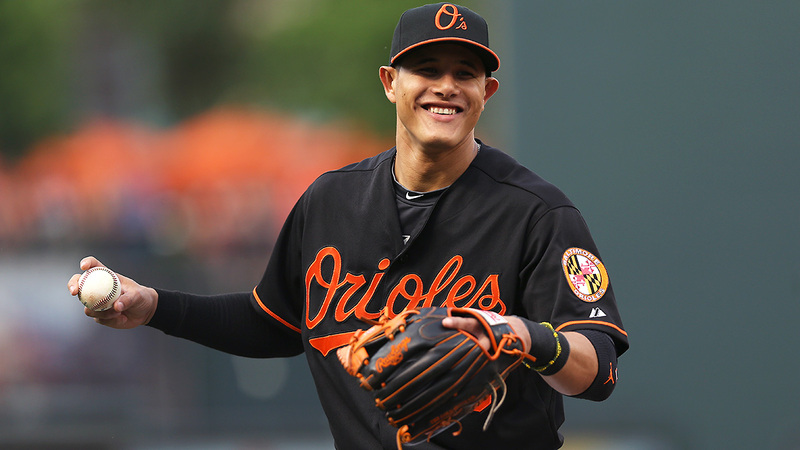 Because as much as Machado has given to the fans, he’s given more to the Orioles: The gulf between Baltimore’s playoff chances with and without him is as wide as Machado’s smile. Currently on the DL, because of course he is. All are under contract through at least the end of 2016, so there is plenty of time for shambling/rotting. Or not see, if they, like me, are part of the roughly two-thirds of Southern California residents who don’t have Time Warner Cable SportsNet LA.